In the copshop, in RC– Fire Camp Training at the California Institute for Women. It was more of a slap. In my family, we say how you spend the start of the new year is how you spend the year. It won’t be the first time they were unfortunately right. Outside RC. Fire Camp Training at the California Institute for Women. Mr. Miran was slow to warm to anyone, but the Sinatra smile fooled most. I told him how to find my blog in order to bridge the gap, and I knew he’d been thinking on the words he found here ever since. I watch the bruise on my hip spread upwards. I am internally bleeding in front of her, and I think about how even a broken clock is right twice a day. The doc finally nailed it. “Ra, sometimes it’s hard to know whether or not to believe you. It’s hard to know if these people you talk about are real.” His tone was reasonable, even when he was being completely insane. It was why he was my favorite. His laughter booms through the tiny room, but I’m not joking. The girls stop washing dishes to look at me. Mr. G wipes his hands on a towel, concern filling his eyes. I suppose it was too late to add the famous addendum — asking for a friend. My bones grind as I walk out of the office, but I refuse to limp– or show any fragility– in front of a woman who could be so careless with the body and future of another woman. Committee Meeting, outside of RC. I did. It’s not the first place I’ve lived that other people only visit. This was the Fire Captain who said he wouldn’t even bother to learn my name, because I’d be in and out of the program too quickly to notice. He was talking to our lead, spitting bricks because she wanted to know what to write in an incident report. I fell in love with firefighting right then and there. … it was an unrequited love. I suddenly remembered the first time I met them, and how Dave said they’d love me because I was part of him. I don’t know what to say to people who just said goodbye to the little boy who ate all their wedding favors. The one they loved the same, even when he grew up. Apologies fell from my mouth. In his death, they weren’t regretting or judging what he did or didn’t do. They weren’t labeling him with words he never was or wanted to be. They were just loving me, because I was part of Dave, even now. Even though he is in a maroon box and I am in prison blues. It was muddy now, and my boots were sunk, my hip jutted to the side with a firehose perched on it. Hundreds of pounds of water coursed through and splashed against the flames as they lick the ground. Steph is covered in soot, and we’d been standing for hours. We look at each other and laugh like maniacs. “They still think it’s the moon,” I repeat, filled with the terrifying wonderment of instinct, and the sadness of sticky memories. The cold carries the thought straight to my bones. The world is a different place now. The unasked question lingers in the air. The heat spreads the smell of it through the air, weighing it down. It tastes like fire, funerals, forgiveness, and truth. It tastes like burnt moths, and false moons, and prison yard slaps. But it definitely is what it is. I’m chatting with him when my family calls. Another new friend who never knew me before– not when I was Radhika, or Radha, or Rara. A new friend who only knows the Ra that survived, and doesn’t seem to mind her. I give him the highlights of the conversation, and even I know they don’t sound real. My family is almost harder to explain than prison. He calls me Princess Caraboo and I ask why. I hardly need more names. I smile because my only job is to tell the truth, even if no one recognizes it. I follow that light, even when it’s not the moon. The world is different now, and I am broken, but I am important and I am loved. And this new kingdom I am building? I plan to make it pretty magical, too. You are amazing, Ra. ❤ Happiest of happy for 2016 for you. Oh Ra, you had a tough 2015 so I wish you even more all the best for 2016! Have a great year! 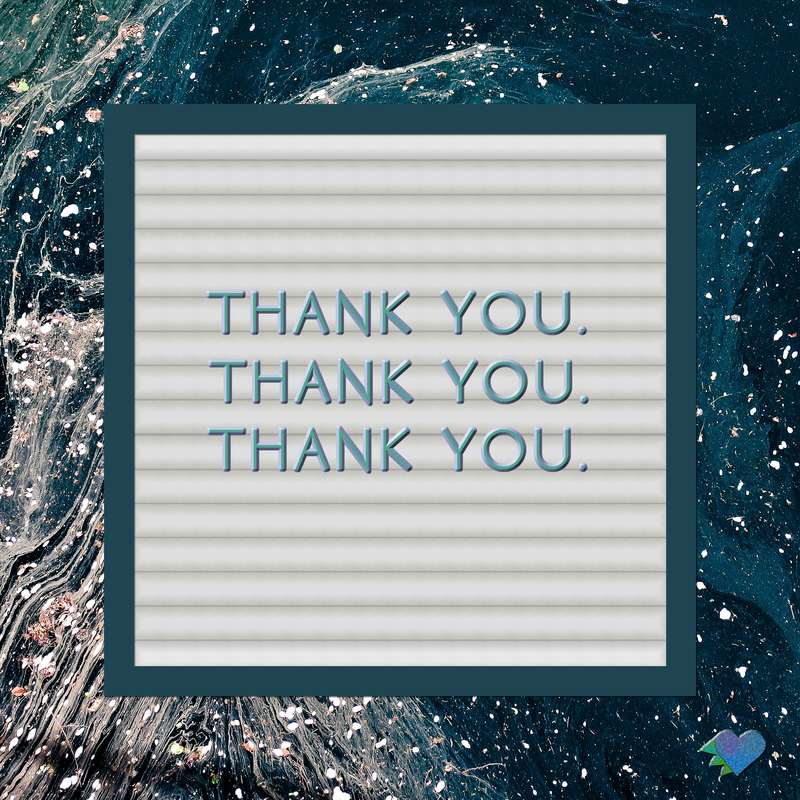 Thank you, Solveig– these were just some of the edges, and even they came with many moments of laughter, friendship, and connections with humans in odd circumstances. It wasn’t all tough, and for that I am grateful. Still, I wouldn’t say no to a nice, boring 2016. 😀 Happy New Year! Thank you, Beth. You know what they say– sharing joys, doubles them, sharing troubles, halfs them. I’m blessed to be able to share with a great community– thank you for being so much a part of my ability to unflatten myself from the floor that I fell to. 😀 I will try to rise! 🙂 Happy 2016! I enjoyed puzzling over the puzzle piece although at 4 in the morning, my gaze would probably have glazed. I think it depends on what is most important. If the puzzle is important, then make a new piece to fill what’s missing. If the piece is the most important, it can stand on its own or form a puzzle around it. Beautiful answer, Lisa. It reminds me of the thich nhat hanh quote about how– when we walk on the earth under our feet, we’re walking on the same earth that someone on the otherside of the world is walking on. Not just the ground, but the ocean, and the sky. Ever changing landscape, but eternal in its sameness. Yes. I love you, Lisa. Happy 2016. There is no doubt in my mind that your kingdom will be magical. You make everything around you magical. Yes you are important and you are loved and I am so glad you are writing. I love you, Karuna, and I hope this year brings you all the goodness your heart desires– for you and your world. Happy 2016! Thank you Ra. I wish the same for you. You bring so much light to the world. It has no choice but to be magical, because its creator is. And I’m calling you at midnight to make sure your year has a good start!! Throw the confetti! Ready the glitter, magic is in the air! Happy New year! It is magical Rara. Where everyone matters and everyone cares. And everyone recognizes truth. I love your kingdom. And you. To a year where everyone matters and knows it. *clinks* I love you! Happy 2016! You never cease to amaze me! I don’t even know what to say. Wishing you all possible wonder and magic for 2016 and beyond! Happy 2016, Deborah! May your new year be filled with magic! You’re right, Ra, people are important. Every single one. The only problem is getting those who think they’re super important to recognise that the ones they thing are unimportant are actually just as worthy as they are. May 2016 start off – and continue to be – great for you. I read that last sentence and imagined a sparkly magical wand of glitter and dust flying over everything– it will be so! 🙂 Happy 2016! Boxes will be opened. Truths will out. And people will choose to acknowledge or deny them, as has happened since time immemorial. Thank you, Don, for reading and listening and hearing. I wish infinite goodness for you in this brand new year. Happy 2016! You make every place a little more magical, Ra. Happy New Year! Aw, thank you, Mary! You are wondrous! May this coming year be good to and for you, that it’ll be the first of many good, wonderful years to come. If you’re ever running low on magic you can always ask me. Also it never even occurred to me that you would lie. Some people seem sort of self evidently truthful. You take one look at them and you feel the light of their soul and you know they’d make terrible liars. That’s you a dino shaped ball of sunshine. New ra old rara, no matter how much you change at your core you’re still that honest dino trying to better the cold dark world with her own sunshine. There’s always a place for you Ra. Always. You are incredible. Cheers to 2016, Ra. You deserve all the best. Yes, we shall make 2016 sparkle!! Who’s to say magical isn’t real? Build your magical kingdom. Happy New Years! I’m building! Here’s hoping I can keep building all year long. Bite by bite, step by step, bird by bird, right? 😀 Happy New Years! Such a hard year Ra with such losses, but yet you have managed to find the gems in the muck. I truly hope the next year will be the best ever for you. Much love and good wishes for you in 2016. Happy New Year. You have magic and your kingdom is magical and you allow all of us a view every time you write. Much love to you. Thank you for reading, and for sifting through the muck and gems with me. 😀 Happy 2016! I hope you find many blessings in 2016. Lynda. It is so very good to read your words. Thank you for being here still. Happy 2016! I only have to read your page to be reminded of love, joy, peace and all the other magical parts of being. Blessings to you in 2016 and beyond. May this year and all years to come bring you what you need and want. Happy 2016. In your kingdom, my dear, you make me laugh and cry. You say the word, “Dave” and I shudder with you ~ filled with love. It’s a unique experience, truly. 😀 it’s full of thud. and yet so much more. Then you say, in an entirely different context, “He calls me Princess Caraboo and I ask why. I hardly need more names.” I laugh, yes, I laugh my A _ S off. Me, too. hardly. need. more. names. Happy NEW YEAR, 2016!! WHOOOO HOOO! Let’s make it magical; as for sure it couldn’t be more real. I celebrate you, Ra- Rara- Radhika…. etc. If you add the name “et cetera,” we got everything covered. Empress. Grateful for this wonderful read. I’ve been putting off going to bed, browsing through stuff that I missed while I was focusing on other things at the turn of the year. And now … this. Sometimes the beauty of what you write – both words and meaning – takes my breath away. I hope 2016 is being good to you so far.